Screenprint, silkscreen. 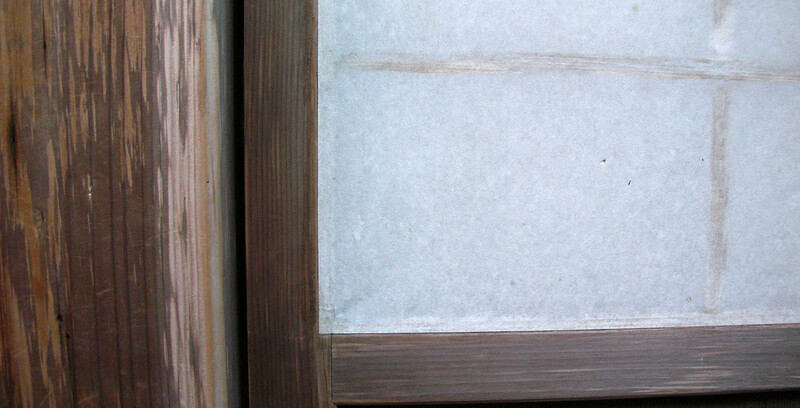 Born 1948 Osaka. Tama Art University. Bungeishunju Cartoonist Prize 1976. Permanent Collections: British Museum and British Library, London. Exhibitons: Many solo shows including a major exhibition at the British Museum London, 1993. Several books have been published about his cartoons and prints. 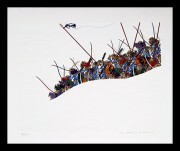 Takeda has always claimed that he is a cartoonist and not an artist. 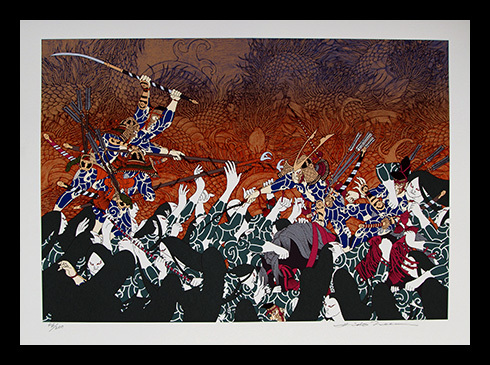 However, as a cartoonist, he must necessarily be a master of line and Takeda’s prints are finely defined and beautifully executed. 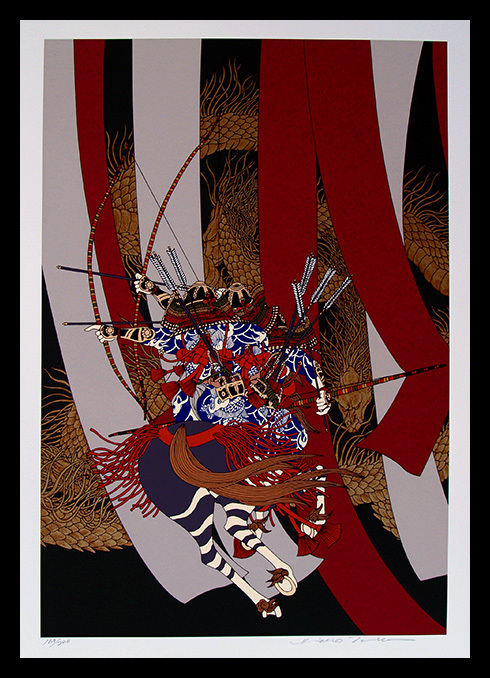 Takeda also adds intricate surface patterns to his works. 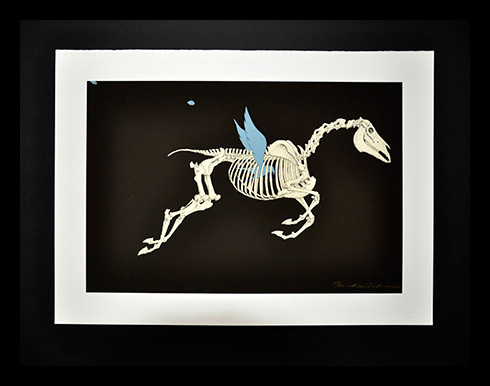 Takeda’s subject matters covers a wide range from cartoons depicting humour, pathos, cruelty of urban life, to complex tattoos on gangster forms, to studies of skeletal birds and animals. 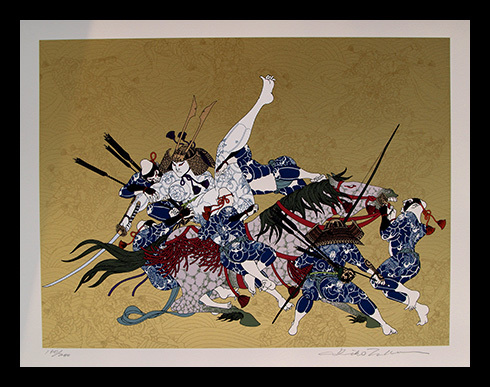 He is best know for his “Genpei” portfolio of silkscreen prints started in 1985, depicting warriors of the 12th century, and which is destined to become one of the great Japanese print series of the 20th century.